Can I Drink Alcohol With a Cold? Your Questions, Answered. Can I Drink Alcohol With a Cold? Your Cold Questions, Answered. Arm yourself with these cold facts, and fight sniffles smarter. 1. Can you pass the same cold back and forth? Infections with cold viruses produce at least short-term immunity, so if you just had a cold but come down with another shortly thereafter, you are actually newly infected with another cold virus to which you were susceptible. 2. How long does the cold virus remain infectious outside the body? Rhinovirus is the most common cold virus, and it can survive up to two hours on human hands, and for 24 hours or less on surfaces and objects touched by infected people. 3. What’s the relationship between colds and sinus infections? Infection with a cold virus is the most common precursor to developing bacterial sinusitis, because infection with the cold virus can disrupt the normal mechanisms that clear bacteria from the airways. We do not have good methods for diagnosing a bacterial sinusitis that might require antibiotic treatment. We know that cold viruses last 10–14 days, so we don’t usually consider treatment with antibiotics for presumed bacterial sinusitis until someone has had persistent nasal symptoms and/or cough that is worsening or not improving for more than 10 days. Even if bacterial sinusitis develops, resolution may occur without antibiotic treatment. The presence of yellow-green nasal discharge does not indicate that a bacterial sinusitis has developed. In an ordinary cold, the nasal mucus is clear initially but becomes yellow-green 1–2 days after infection, which coincides with an influx of white blood cells that rush to the nose and release enzymes to fight the cold virus. 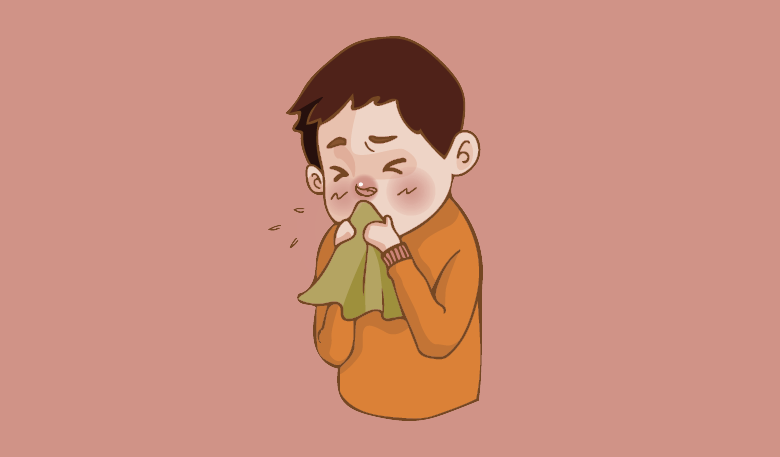 Later in the course of the cold, the nasal mucus typically becomes clear again. 4. Do any over-the-counter drugs, such as vitamin C, Echinacea, zinc, etc., help with getting over the common cold? There is not sufficient evidence to show that vitamin C, zinc, or Echinacea are beneficial in treatment of the common cold. With the exception of the flu, there are no antivirals that treat the common cold. Further, there is no benefit to treatment with antibiotics. Antibiotics cannot treat the common cold and will not prevent complications (like sinusitis, ear infections, or pneumonia) from developing. First-generation antihistamines (e.g., chlorpheniramine, diphenhydramine) may provide modest symptomatic relief (e.g, decreased nasal discharge, nose-blowing) and slightly decreased duration of symptoms, but they often cause sedation. Topical decongestants (like oxymetazoline) can provide symptomatic relief of nasal congestion. They should be used sparingly (three days or fewer), as they may cause a rebound congestion if overused. Chicken soup has been shown in one study to increase nasal mucus velocity. [See Saketkhoo KK, Januszkiewicz A, Sackner MA. Effects of drinking hot water, cold water, and chicken soup on nasal mucus velocity and nasal air flow resistance. Chest 1978;74:408-410]. Nasal saline irrigation may be helpful in removing nasal mucus. Ibuprofen may be helpful for muscle aches. Bulb suction with saline drops (1 teaspoon table salt in 2 cups water, made fresh daily) may help relieve nasal congestion and remove nasal mucus. Honey (1/2 tsp.) given at bedtime to children older than 12 months of age may reduce nighttime cough. DO NOT give honey to children younger than 12 months of age, due to the risk of botulism. Vapor rub applied to the chest of children 2 years of age and older may reduce nighttime cough. Acetaminophen or ibuprofen (in children older than 6 months) may help with fever and muscle aches. Note: For children (up to age 12), over-the-counter cough and cold medications (decongestants, cough medicines, expectorants, etc.) are not recommended, as they have not been shown to be effective and may cause serious side effects. 5. What effect does drinking alcohol have on a cold? There is little quality evidence available on the impact of drinking alcohol on the common cold. There is one limited study suggesting that drinking 3–4 drinks/day decreased symptomatic illness after infection with cold virus (but did not decrease the overall number of infections). There is another limited study which suggests that moderate consumption of wine may decrease the incidence of the common cold [See Ouchi E, Niu K, Kobayashi Y, et al. Frequent alcohol drinking is associated with lower prevalence of self-reported common cold: a retrospective study. American Journal of Public Health, 1993;83:1277-1283 (); Takkouche B, regueira-Méndez C, Garcia-Closas R, et al. Intake of wine, beer, and spirits and the risk of clinical common cold. American Journal of Epidemiology, 2002;155:853-8]. 6. Do saltwater nasal sprays work? Salt-water nasal spray may loosen secretions and help clear nasal mucus. It is generally well tolerated with minimal side effects. 7. Can I still get a flu shot if I have a cold? As long as your cold symptoms are mild and you don’t have a fever, you can get a flu shot even if you have a cold. 8. When is it time to go to the doctor with a cold? if you develop other symptoms that are concerning. We answer your burning questions about the common cold. Pointers for sifting through your paper and plastics.